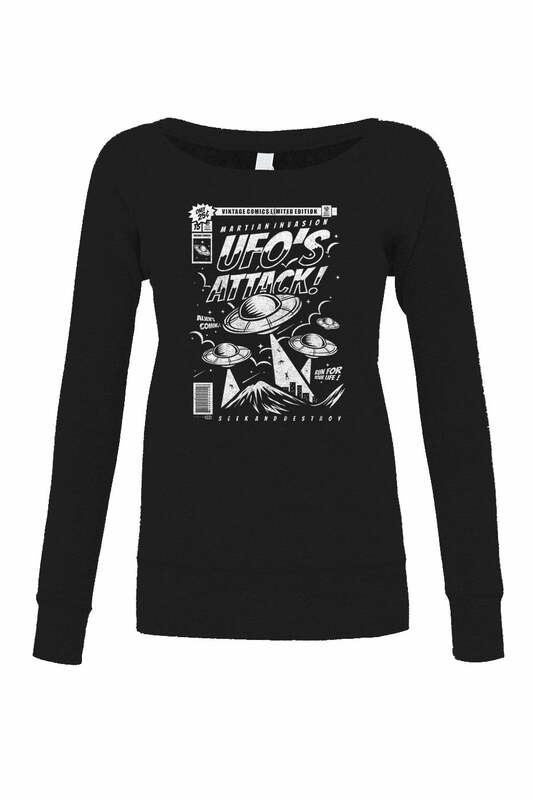 This geeky retro inspired sci fi graphic features aliens running from an outer space invasion. In our re-imagined vintage scifi adventure the extraterrestrial threat comes from UFOs being piloted by earthlings. Take cover from the alien flying saucers before it's too late! This nerdy pulp function aesthetic shirt makes a great gift for fans of astronomy and science fiction.